This two-story wood frame building was constructed c. 1890 to replace an earlier building associated with Goodwill Parochial School. The school had been established soon after the end of the Civil War by the Committee on Freedmen of the Presbyterian Church in the U.S.A. The minister of nearby Goodwill Presbyterian Church also served as the principal of Goodwill Parochial School. The school provided an education for hundreds of African American youth at a time when public education for African Americans was deficient. In 1932, in the midst of the Depression, the Board of National Missions of the Presbyterian Church in the U.S.A. decided to discontinue its financial support of the day schools it had long supported in the South. 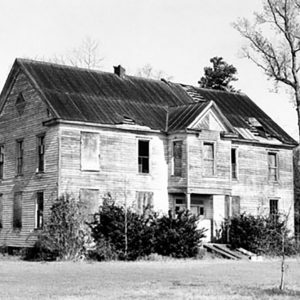 The school did not close, however, but continued to educate local children until it was consolidated in 1960 with Eastern School, a public school in Sumter County School District 2.